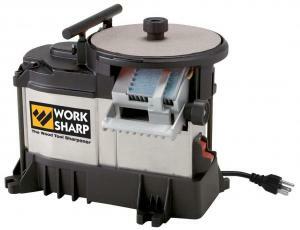 This is a WS3000 sharpening system for sharpening blades of all sorts. This item was bought from Busy Bee Tools as part of the Trillium Grant. I too have a bunch of my own chisels I\'d love to sharpen on this. If it could be replaced or returned, that\'d be great! Tool Missing: I haven\'t seen this tool in over a year. I have no idea where it is. All of the chiseles are chipped or dull, so it would be nice to know where it is or replace it.